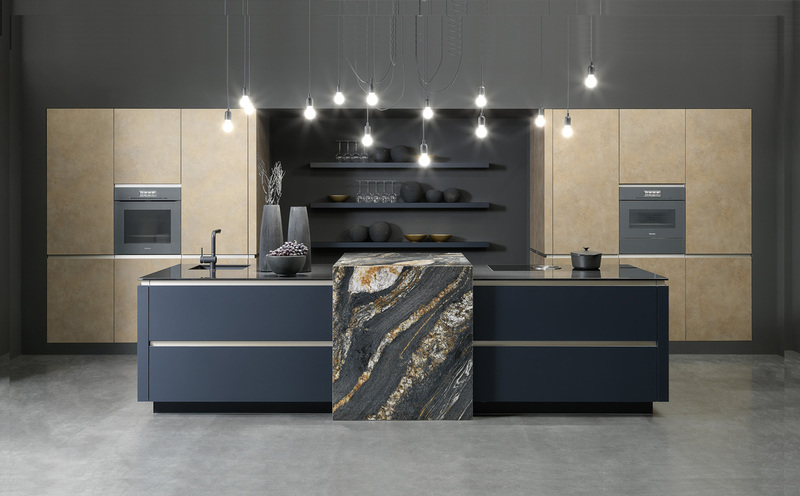 The Atmos cabinet range is available in a wide array of colors and finishes. It’s handle is incorporated into the cabinet door giving a handleless appearance. 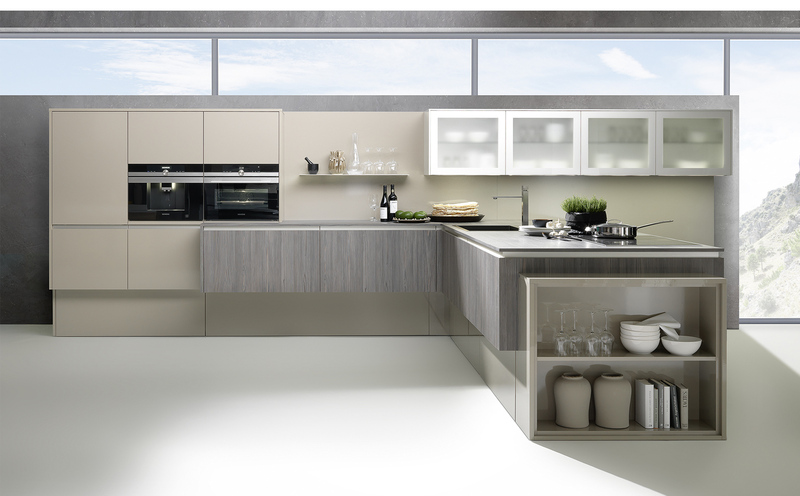 It’s clean lines often feature a mix of book matched veneers and high gloss lacquers. The new trend kitchens are warm and inviting. The combination of indigo supermatt – a rich shade of blue – and striking gold-effect melamine offers a play on contrasts.